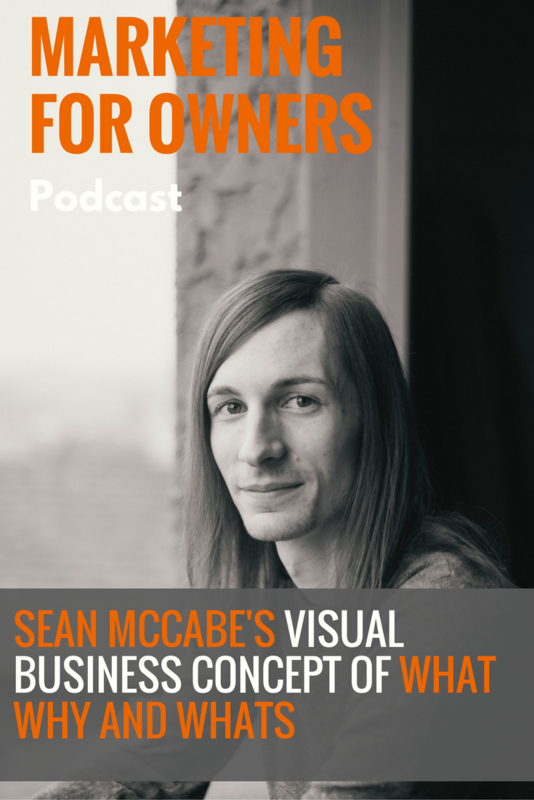 Sean McCabe runs seanwes, which helps people to build and grow an audience-driven business, and yet it all started with hand lettering. Go back over 10 years ago, Sean was fresh out of high school and had started a computer repair business. He was going around his neighborhood handing out fliers to get custom. He learned about the power which word of mouth has for a business when he found himself being continually recommended in a newsletter going around the local retirement community. And that enabled him to start supporting himself full time and then hired someone else to do the work so he could run the business. With his free time, he then started a business helping businesses with their web design. 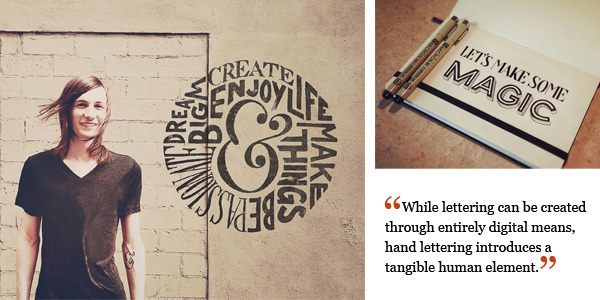 A few years later, he then turned his hand lettering hobby into a business, which grew into five-figure contracts. Then when he started to share his knowledge with people all over the world to have the motivation to give something they love a go. In fact, his course earned him six figures in just three days. Find out the story behind how Sean became an overnight sensation and the work that went into making it happen. He evolved his brand and changed his audience, and has now found a work-life balance you’ll be envious of. When Sean’s web design business took off, he sold the computer repair company and brought in a partner to help him out. But at night and on the weekends, he was drawing letters. Sometimes he just drew until it was time to go to bed, and did it instead of watching TV. But he put in the hours practicing the skill. Then he met with a designer friend, who told him that if he enjoys hand lettering so much, why doesn’t he just do it? It was the first time he’d heard the message of doing what you love. He’d struggled to know what to do with it so just previously dismissed it. People are paralyzed because they are thinking they can’t do something, as there isn’t a way of turning it into a job. No one necessarily knows if it is or not, but you need to allow yourself the chance to go through an exploratory phase. Give yourself permission to try it without any pressure. So Sean created a website for himself which got little attention for two years. Then people started to notice it and began to leave comments asking if they could buy things from him, and even asking to hire him. He ended up taking on jobs in his spare time from web design and kept the extra money. That then allowed him to invest it into product runs of t-shirts. And then when he sold them, he could buy 100s more. Even today, he still ships all over the world. 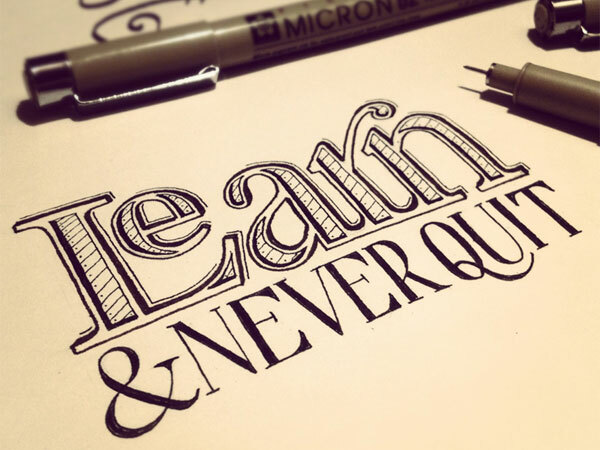 It also led to him getting even better hand lettering jobs with clients. Some jobs were even earning him five-figures. He ended up hibernating the web design business to take up hand lettering full time. That year, he earned $100,000. Even when everything was going so well, he later found that he had been ignoring the elephant in the room. A majority of his audience at the time had wanted to learn what he did for themselves. He was making money by working with clients and selling his products, but he wasn’t teaching anybody. Hand lettering was also in the middle of a resurgence. Between 2007 and 2011, searches had increased 1000%. Plus he was getting around five emails a day from people asking him questions. And he was answering the same questions over and over again. That led to him creating a 1-step guide page on his website, to which he could direct people to when they asked him a question. Within a year, that page had over 200,000 views. It opened his eyes to the fact there was clearly an interest. What made him different from other artists is that he knew the value of his services. Most don’t have the business skills to know about what they should charge. So when he created a course, he not only taught them how to draw, but to also make a living as a hand lettering artist, and charged $299 for it. He saved up enough money to not need to take on any business for six months in order to completely focus himself on the creation of the course. He also immersed himself in the world of marketing, consuming every article, video, and podcast he could. In fact, he was even listening to podcasts in the show via a waterproof Bluetooth speaker with a suction cup. When it came to launching the course, he applied everything he had learned, and in the first three days of it going online, it made six figures. It blew away all of his expectations. He is only 28 years old and has spent the past 10 years completely focused on business. Sometimes it feels to him like he may have missed out, especially when he compares his life to friends. But what he has done is built himself personal freedom early on in his life. The success of the course put him on the map of people outside of art too. He was then being asked by many people how he achieved it. He had learned from other people sharing what works and what doesn’t, and he wanted to give back by passing on that knowledge. So he created a podcast. The seanwes podcast has changed people’s lives. The principles he used in his hand lettering business are timeless and relevant to the world in all manner of different practices. He then hosted meetups which went on for hours and led to him hosting his first in-person conference in October 2016. As much as he enjoyed making great money for himself by doing the work he loved, he gets far more fulfillment from helping others to see it is also possible for themselves. He’s now helping others to build and grow audience-driven businesses and has a community of entrepreneurs. As his business has evolved, so has the why for his business. In the beginning, he wanted to be able to do work he loved doing whilst being able to support himself and live the life he wanted. It may seem selfish, but you need to cover yourself first in order to be able to help anyone else. We’re all in business in order to create freedom for ourselves, and you can’t think about what other people will think. But it is at this point when his why evolved, and it has allowed him to find fulfillment in other ways. There is a time when it can be about you, and you don’t have to worry about other people. That’s because once you know how to look after yourself, you can look after others too. And as his seanwes brand has evolved, so has his audience. But he has also had people come along with him on that journey. With his audience now, he shares his concept: What > Why > Whats. People often want to start their business by figuring out the why first. But when they do, it often feels intangible, and instead, they need something which they grab hold of. This is why you should start by picking out the initial ‘What’. Choose the one thing to focus on, instead of just trying to spread yourself thinly. It’s common to worry about picking the wrong one and going in the wrong direction. But any step you take is progress forward, and success isn’t a straight line. What you pick is almost certainly not going to be what you do for the rest of your life, as our life goes through seasons. But you’re not going to abandon those experiences and things you learn along the way. Having that focus then helps people to understand who you are. When there are too many things going on, it becomes white noise which we block out. By starting with that initial ‘What’, people can buy into you and understand your ‘Why’. And when you have a following, you can then build on it and develop those further ‘Whats’. Sean sees his meticulousness as being both an advantage and disadvantage. In the short term, he is driven and working 18 hour days, 7 days a week. Although he enjoys work, he also recognizes that he was heading towards burnout. And that’s something which would have been bad for him, his wife, his audience and his brand. Working flat out wasn’t the best thing to do. But if he is going to do something, he is doing it all-in and to the best of his abilities. And likewise, if he’s going to take a break, he going all-out. So in early 2014, he wanted to try a small scale sabbatical, taking a week off every seven weeks. It felt just like a vacation. By the end of the second six-week stint, he felt as though he had too much work to be able to do it. But, because he’s already committed himself to it by telling his audience, he reluctantly had to do it. Another seven weeks later, and he felt as though he needed the rest and was actually looking forward to it. Back then, he had no employees. Now, he has a team of eight, and he pays for them all to take a week off every seventh week. If he truly believes in it, then he has to go all-in. He has found that it makes great business sense as they get seven weeks of work done in six. Things take as long as the amount of time you give to get them done. And when people return to work, he sees a spike in productivity. Sean McCabe inspires you to take action. He’ll have you growing a successful business doing what you love in now time. Check out seanwes.com to find out about the wealth of resources to help you on your journey, including his weekly podcast about creativity and business. And if you’re interested in hand lettering, he also has more information than you can shake a pencil, and you can also see some of his creations.